Today I am testing out a few other products from Nip and Fab and Rodial. The first thing is Glycolic Fix Night Pads "Extreme." I've used a very similar one before but these seem to be a bit better. You can immediately tell the difference. Your skin feels very clean. With the other ones, I said there was a bit too much liquid in the container. With these, they are a little bit more dry. I don't know if that was intentional or not, but I prefer it. They also smell really good. The next product that I am testing is the Snake Oxygenating & Cleansing Bubble Mask by Rodial. It's a charcoal sheet mask that bubbles up over time. It's a really fun mast to use. I've seen these all over Instagram, but didn't really know what they were. It makes your skin feel very clean and revitalized. 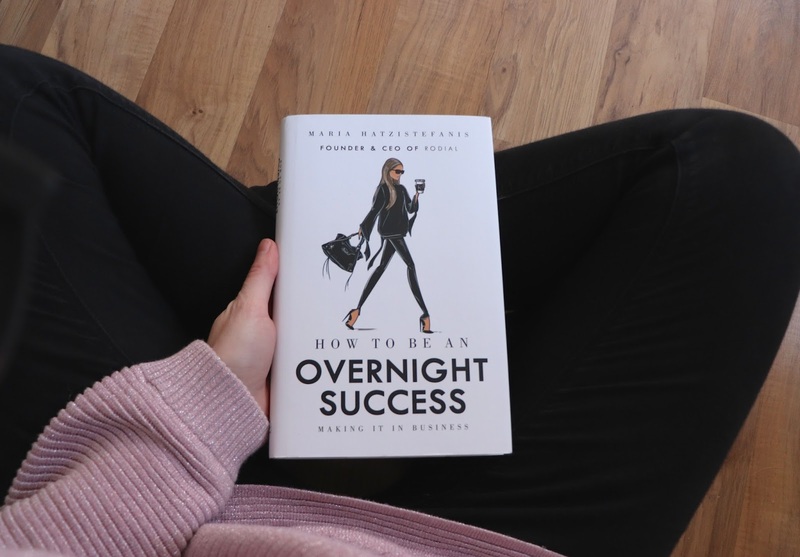 How to Be an Overnight Success is a book that I honestly cannot wait to read. It's about the process that the founder went through to create Rodial. I've always wanted to have my own business so I am looking forward to reading about Maria Hatzistefanis's story. I have about a 30 hour road trip coming up next week because I am moving across the country. Hopefully I have some time to start reading it. I am definitely reading that book! Thanks so much for sharing!